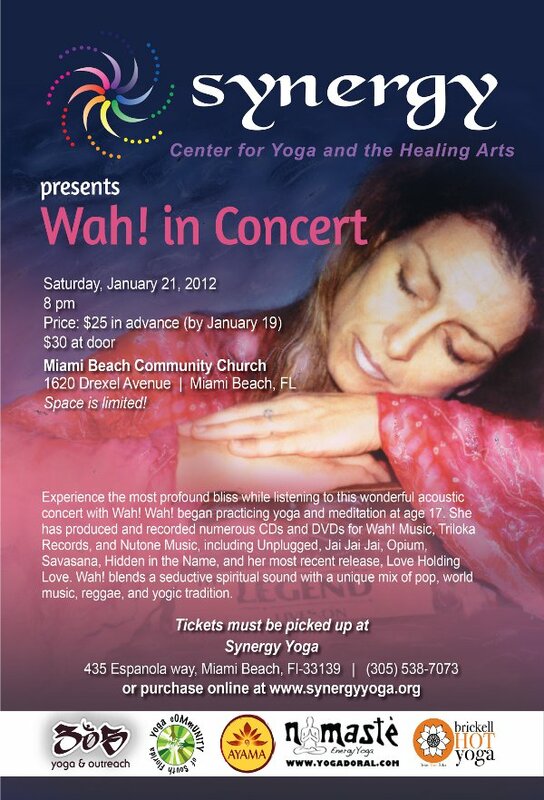 Synergy Yoga presents: WAH IN CONCERT! Experience the most profound bliss while listening to this wonderful acoustic concert with Wah! author of Dedicating Your Life to Spirit. Wah has being a icon of Music on the yoga world for over a decade. samadhi (union) and ecstasy. Her theme is the oneness of Divine love and eros. Arts for a complete experience. Henna*Mendhi* Acroyoga* and Much more! LIMITED SPACE! – info: 305 538 7073 – SEE YOU THERE! 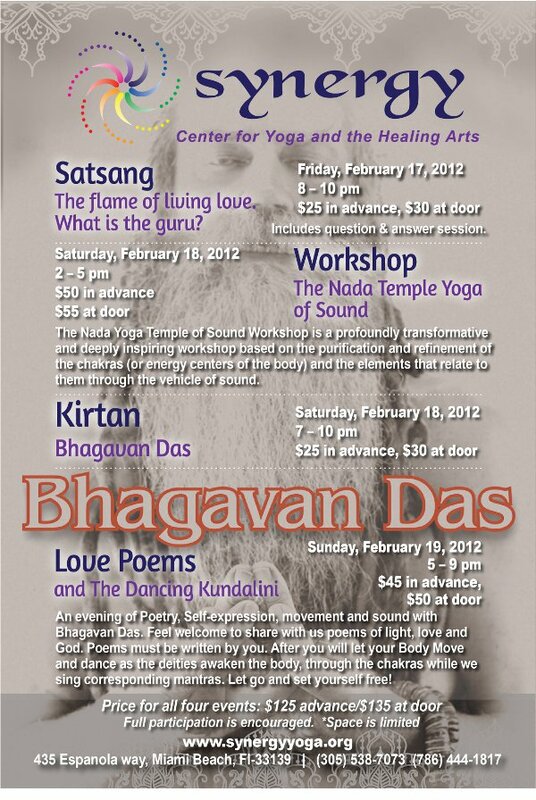 BHAGAVAN DAS IN MIAMI BEACH! us poems of light, love and God. Poems must be written by you. through the chakras while we sing corresponding mantras. Let go and set yourself free! For entire 3 day weekend event. SPACE LIMITED, PLEASE PLEASE PRE REGISTRATION HIGH RECOMMENDED!